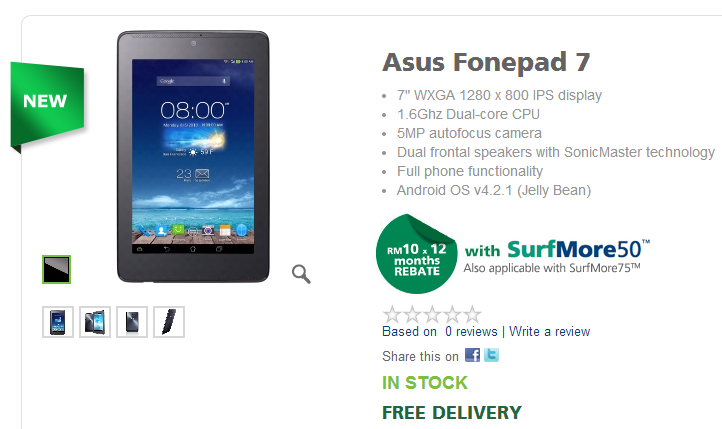 It looks like the latest Asus Fonepad 7 has arrived in Malaysia, Maxis is now offering the 7” tablet from Asus from as low as RM299. 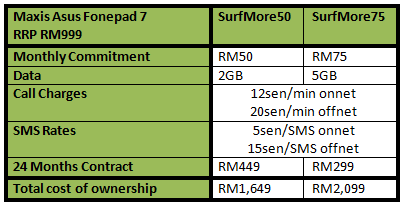 Retailing at RM999, all you need to do is sign up for a 24 months contract under one of the telco’s data plan – SurfMore50 or SurfMore75. Announced in the last IFA 2013 in September this year, the new Fonepad 7 is powered by an Intel Atom Z2560 processor clocked at 1.6GHz. Running on Android 4.2, Fonepad 7 features a crisp 1280 x 800 resolution display with IPS technology, has a 5MP rear camera, 1.2MP front camera and a large 3,950mAh battery on board. The unit offered by Maxis has 16GB of internal storage but you can always expand it further with microSD card. 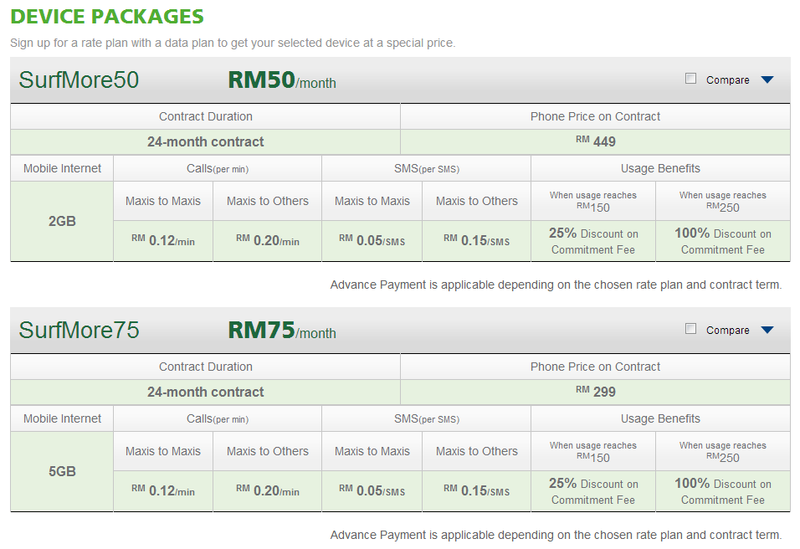 Available immediately in Maxis online store, the telco is even offering a RM10 x 12 months rebate if you purchase it now. Visit Maxis for more information.